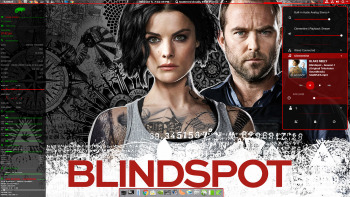 It dual boots with windows 10 preview. uptime 1h1m1s very geek coincidence!! Hey I really like your setup. 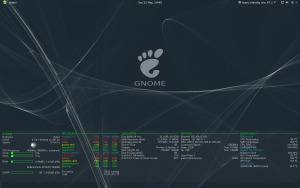 I've recently switched over to Leap 42.1 Gnome from KDE (Way too many issues with KDE on any distro), would you be able to give me some insight on what you use, and how you got your setup like that? I'm no Linux expert, but can get stuff done if I have some general direct. I use conky and a lua created background, I also use a script in /etc/cron.hourly to get some data, I also use cpupower mperf script controlled with a systemd timer/service to update every 20 seconds to get the cpu core frequency. 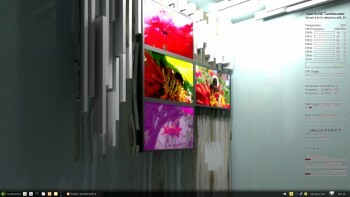 Background is from vladstudio.com but the one I posted was from gnome-look.org. 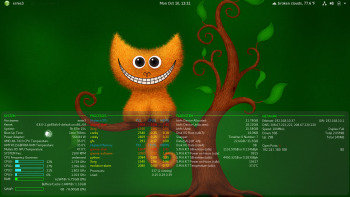 I use conky and a lua created background. Zelda walpaper owns is this from a particular Zelda game or just Zelda inspired in general ?